The struggle to stay young or at least to look younger longer goes on in many households on a daily basis. There is a multi-billion dollar industry surround the search for the miracle of youth. Cosmetic surgery is no longer a “dirty” word and no longer something that is being hidden. The greatest thing to come from the openness seems to be the anti-wrinkle treatment, Botox. 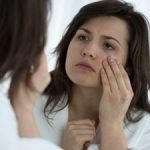 There are some important facts you need to know before you do Botox treatments, but not all of the negative press it has gotten sway your opinion. Many in Hollywood have been at the head of the negativity because they have been reckless and abused the product. We have forever etched in our minds the horrible photos of famous people like Joan Rivers and Lindsay Lohan, but the truth is these are exceptions not the rule. There are hundreds of people using Botox and we would ever know it if they did not say so. 1. Muscles and nerves vary by person and region. When you see ads that offer a flat rate for the service no matter the area then you should be cautious of the service provider. Many clinics and private practice providers who offer these types of rates allocate only such much of the botox for that region at that price the fact is you may need more. They may even dilute the product to meet their bottom line. 2. 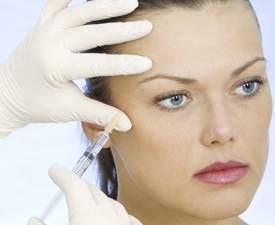 Many people are injecting botox with a bare minimum of training. Never forget that facial anatomy is complex and if the person that is administering, what is essentially a derivative of snake venom, is not knowledgeable enough serious damage can be done. 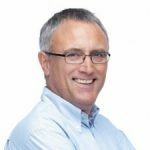 Only a MD or someone who has had extensive training in anatomy will be able to correctly administer this product without fear of permanent damage. 3. When you hire a designer or get work done on your car you do not do it without first seeing what they have done for others. Maaco does a great business because they can show you success after success, why wouldn’t you want the same for your face as you would for your vehicle. 4. One way to find out what the reputation of a provider of Botox is would be online. Everyone talks about good and bad experiences online. Google the provider to see what is being said about them. No one can satisfy everyone, so there will be a few disgruntled people but if the majority of the reviews are negative you need to steer clear of them. Ultimately it is your decision, but at last make an informed decision. You have to know that this injection can have serious side effects even sometime the most trained provider cannot avoid them. This is not an inexpensive procedure either. So do your homework before you sit in a chair and let someone inject this poison into your face. 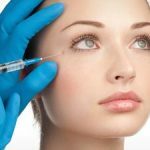 Botox can be a good thing to fight the onslaught of aging but as with all things there is much that you need to know and do to make it worthwhile and not to end up with dire consequences.